What advice do you have for parents and teachers of kids who don’t (yet) like to read? or something they better do for an hour before bedtime or goddammit they will end up like shiftless Uncle Dave who is always asking to borrow money. – Do not denigrate kids’ other activities – video games, texting, talking to friends, watching TV, sleeping… as stupid in comparison to reading. – Do not insist they read “classics” because you had to. – Do not refuse to get a book for them because it isn’t up to their reading level. – Find out what the kid really loves, and help them find a book, magazine, or any kind of text about that love. Without judgement. The subject can be sharks, volcanoes, bodily functions, the Guinness Book of World Records, fighting ships of World War II. And they can read about this love for as long as they want. – Expand your definition of reading to include humor, sci-fi, nonfiction, mysteries, graphic novels, wordless books, audio. It’s all storytelling. – Collections of short stories are great low-pressure introductions to all different kinds of reading. The GUYS READ Library of Great Reading is built for this. Try different stories and different genres. If they don’t like a story, they don’t have to read all of it. Try something else. – Find positive reading role models, especially for boys. We tell kids that reading is for everyone. But we don’t often see men reading. – Promise there won’t be a quiz or a list of ten questions after the book. And I think the ultimate strategy is to see every kid as reader in search of that book that is just right for them. And isn’t that what makes a great reader? There you have it. 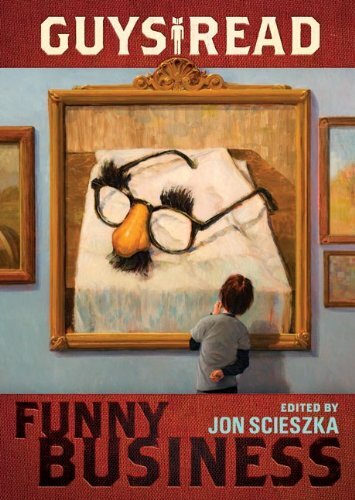 For more from Jon Scieszka, check out his interview with our friends at Chapter 16 and The Nashville Scene. Join us at the library this MONDAY, August 18, at 6:15 PM! 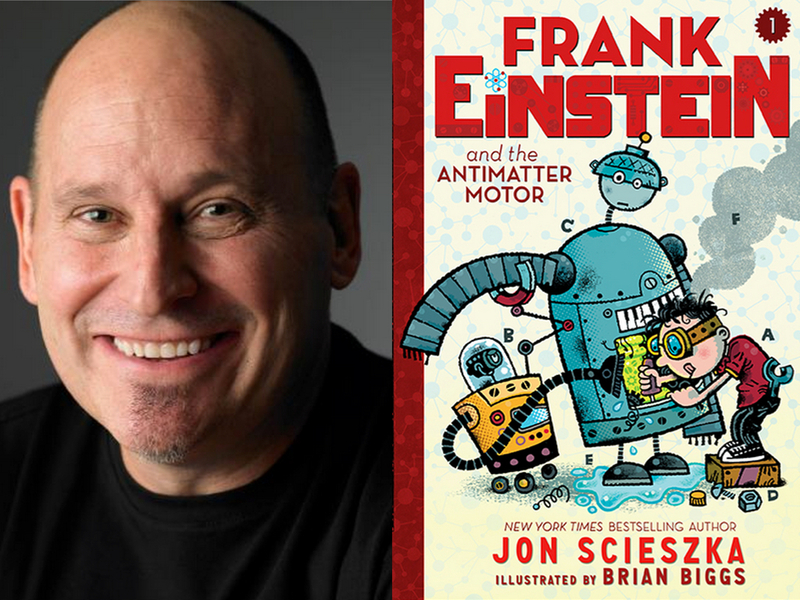 You’re invited to meet Jon Scieszka for a reading and signing of his brand-new middle grade book, Frank Einstein and the Antimatter Motor. This event is presented FREE by Salon@615 — a unique partnership among Parnassus Books, the Nashville Public Library, Humanities Tennessee, Parnassus Books and the Nashville Public Library Foundation.